If you’re an indie writer, you’re responsible for promoting your book, but even many traditionally published authors are finding they’re responsible for many promotional tasks that were previously done by the publisher. At the same time, new publishing options, like ebook publishing and on-demand printing mean more competition than ever before. I won’t go into the decisions involved in traditional publishing versus self-publishing, but recognize that marketing support at traditional publishers is waning except for their high-profile (best-selling) writers, so you’ll be more involved in promoting your book regardless of which path you take. Before we get into specific tools and tactics for promoting your book, let’s talk about some overarching concepts to bear in mind. As more folks determine to write books (I’ve heard estimates that 81% of adults want to write a book), a cottage industry arose to help self-published authors with various tasks normally performed by the publisher. Everything from editing to formatting to cover design to marketing is available to writers — at a price. Some of these services are valuable, but many are simply scams to bilk writers out of thousands of dollars. Writers, who lack the skill necessary to perform these tasks themselves and no ability to determine their worth, pay fees and, sometimes get little or nothing of value. In other cases, they get substandard work for the high price they paid. 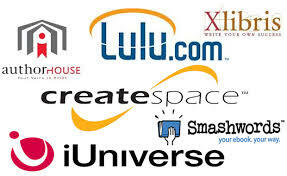 These companies make money because authors are convinced they’ll make millions of dollars off their book, with the right cover, editing, marketing. In reality, the average Kindle ebook sells less than 10 copies, which nets the author around $100 (not including these services). Marketing, any type of marketing, takes planning and the time to start that is before you finish the book. If you don’t have a marketing background, check out local colleges and universities for help. They might take on your marketing plan as a student project, as a service project for the student chapter of AMA (American Marketing Association), or can refer you to the local SBDC (Small Business Development Center). You can get insights on crafting your own marketing plan by reaching out to the SBA (Small Business Administration) for helpful outlines and publications or check out books on the subject from the local library or Amazon. Here’s something I wrote on my marketing website to help in crafting a marketing plan [Part 1; Part 2]. Social media is free, although it is time-consuming and takes effort away from writing. I try to divide my day up into writing time and marketing time. Again, I start early before the book comes out. The key to building a social media plan that works is sharing content. But, share information about your book(s) sparingly — only 20% of the content should be promotional. Optimize shares by sharing at the time most readers are online (which is likely after work and on weekends — although Sundays do really bad for me so I don’t bother sharing). Also, don’t overshare. Once or twice a day on Facebook and most other social platforms is good, up to 5 times a day on Twitter will work. Free isn’t what it used to be because too many authors are giving their books away. Instead, consider sharing snippets of your writing, book trailers, and a synopsis of the book. Respond to folks who interact with you on social networks. Thank those with positive comments and apologize or thank them for their feedback when someone posts something negative. NEVER delete negative comments or get combative. Facebook – some folks use a Facebook page, others prefer a profile (personal account). I think you should create a page so you’re not sharing photos from my family birthdays, etc. That doesn’t mean your page should be all professional, but there are just some things you don’t wanna share with your market (for me it’s my political ramblings). I do share many of my promotional efforts on both my page and profile. Include a link to like your page everywhere — on your website, Goodreads and Amazon profiles, email signatures …. Goodreads — I have an entire post to optimize your Goodreads strategy. Other social networks — most networks follow the recommendations for Facebook, so use that as a starting point. While a website is a form of social media, it’s so different I put it as its own strategy. Use a free template. Often they’re badly coded or really wonky to work with if you can’t code. You can buy a quality template for about $50. Networking is probably the best tool for promoting your book. I’ve found that authors (especially indie authors) are very willing to help each other and promote each other’s books. 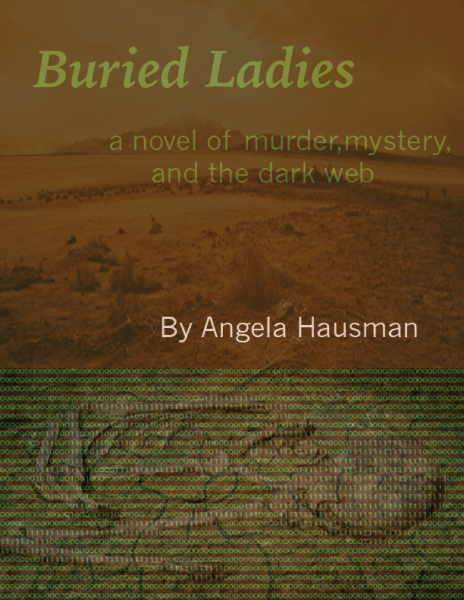 If you’ve already purchased (or received a gifted copy) of Buried Ladies, please consider writing an honest review (use the link below). And, if you didn’t like it, please send me specific comments so I can improve the next book. If you don’t have a copy yet, enter the giveaway or get it on Amazon (FREE on Kindle Unlimited, $2.99 Kindle, $9.99 paperback).